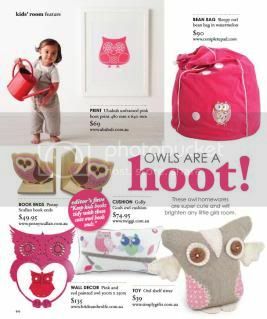 Hello my fixation friends - its been a while since I found something to post in this catagory - but the Adore Home Online Magazine (its an Aussie one!) is worthy. I was sent the link their British edition - I especially love the Vivienne Westwood Flag Rug hanging on the cover. 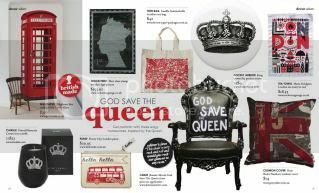 The "God Save the Queen" spread is awesome - with some great stuff. While most of it is sold at English or Aussie shops - I really like the Crown Pocket Mirror from Beautyhabit for $9. I also enjoyed British stylist Selina Lake's golden rules. I've been trying to abide by rule 5 lately and have been buying fresh flowers at the farmers market every Sunday and I totally agree that its a cheap way to add life and color to a space. The blog loving section introduced me into some new blogs for me to obsess with and I am really looking forward to more from this magazine. Make sure to check it out - and tell me if you find anything good!